“The Bard”, by Thomas Gray. A short perspective for Coleridgians. During university, I spend an almost inappropriate time investigating on a paper on Gray and Tennyson. – Which was rad, because my work on Gray was the foundation on which this page is built. Now, I recently mentioned one of Gray’s more famous odes, “The Bard”, and how I humbly theorize that “Kubla Khan” could have being a thematically similar – maybe equally prophetic – poem, probably even comparable to Walter Scott’s later The Vision of Don Roderick. Now, what did Coleridge himself think of “The Bard”, given how we usually simplify that Wordsworth’s and Coleridge’s generation of poets is said to have rejected Gray’s work? This quote by Mr C himself might serve to give a first understanding of what Coleridge’s real thoughts were, especially when juxtaposed with another, more generalizing statement by later English critic George Saintsbury. Quotes taken from The Spenserian Archive. I am not going to re-post the entire poem, but here, my favorite lines from it: The beginning verses, indeed! “The Bard”, by Thomas Gray. “Ruin seize thee, ruthless King! To arms! cried Mortimer, and couch’d his quiv’ring lance. Sighs to the torrent’s awful voice beneath! 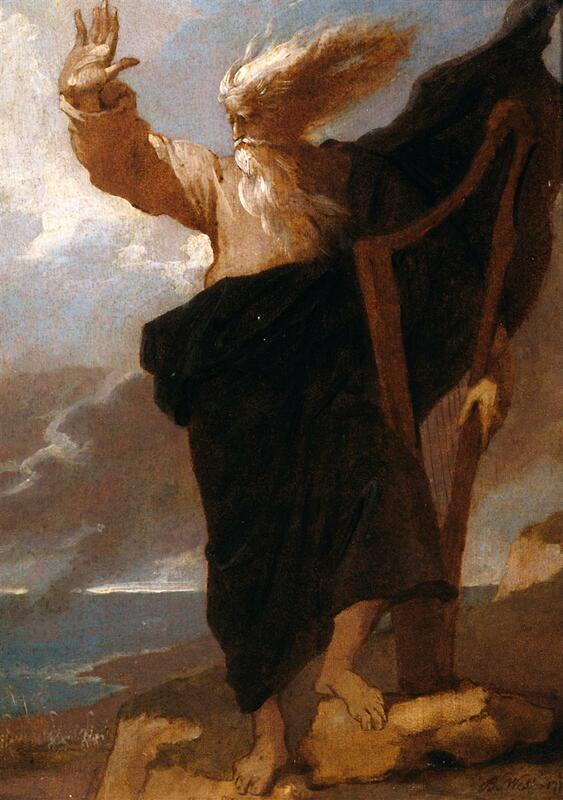 To high-born Hoel’s harp, or soft Llewellyn’s lay. Made huge Plinlimmon bow his cloud-topp’d head. The famish’d eagle screams, and passes by. 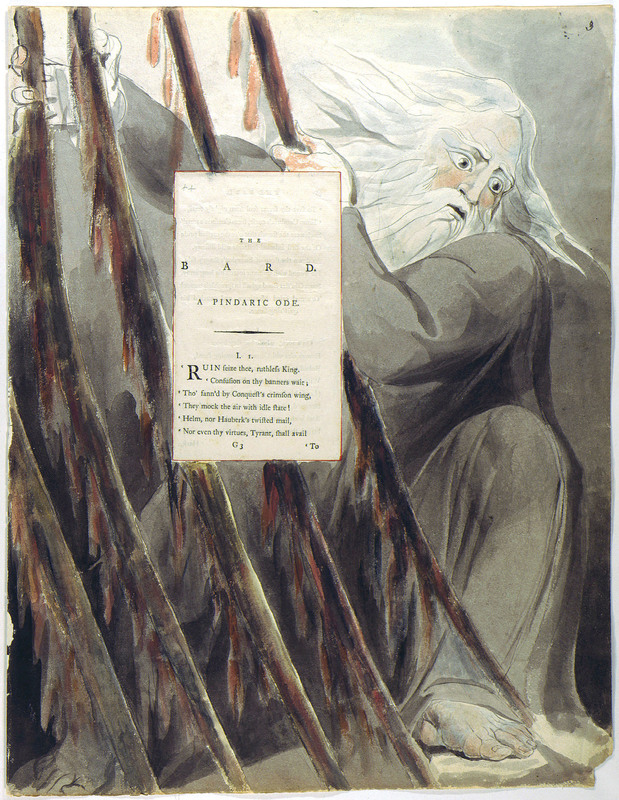 Text and illustration of “The Bard” are from Wikipedia. Check this link to see all of… You should guess who the artist was.